Wow. November is tomorrow. Like the past two years, I’ll be doing NaNoWriMo, aka National Novel Writing Month where you write 50k words toward your next novel project. I’m participating this year for multiple reasons, but the main reason is that I need to. If you’ve been following this blog for a bit, you know I’ve fallen off my rocker this year. The PTSD has pretty much stolen all remnants of self-esteem. NaNo has always been a source of positivity for me. Between achieving the challenge itself and the NaNo community, November has just been a good month for the past couple years. So when I say I need to participate, it’s really a matter of needing to prove to myself that I can still do a thing that makes me happy and fulfilled. And like last year, I’ll be participating in the BEAUTIFUL BOOKS meme hosted by Paper Fury and Further Up, Further In. Question 1: What inspired the idea for your novel, and how long have you had the idea? Redeemed (working title) is book 4 of the 5-book YA Fantasy series I’ve been working on. And to say it’s kinda been an enigma (plot and character-wise) would be an understatement. Since I first developed the series, I knew the main character’s abilities, where the story would take place, and what needed to happen (in terms of the series’ big picture) for Book 5 to work, but other than those three things, I was at a loss. Gwen, the MC, went through a million name changes. Nothing stuck. There was Blaire, Alison, Winifred, Jaclyn. I had zero luck ironing down any details with her character. Then I finished the final draft of book 1, discovered a character that would play a huge role in book 4, and from there, everything started clicking into place. Looking at my working outline and notes, I can see where I’m pulling different inspirations from. And honestly, most of it comes from friends and other incredible people who have entered my life. Question 2: Describe what your novel is about! Gwen Carter has visions. Some of the near future. Some of the past. But when she sees a future where a woman named Helen tortures her family to get to her, Gwen takes off. Now halfway across the country in Seattle, Washington, Gwen realizes she can manipulate her visions and seeks out Helen from her nightmare to lure her away from her family. Helen isn’t the only one searching for Gwen, a man who can shift into different animals is also on the hunt. But there’s something different about him, the men he travels with call him Tadgh and clearly trust and respect him. So Gwen seeks his help. Unfortunately, there’s only so much Tadgh can do when the lives of his men are being held as collateral for his allegiance to someone else. Question 3: What is your book’s aesthetic? Question 4: Introduce us to each of your characters! Gwendolyn Carter – Gwen is the most innately heroic of the protagonists in my series. While she doesn’t seek out danger, she can’t sit idly by and watch injustice unfold either. Her ability to hear thoughts and see others’ choices makes her decision-making far more strategic, so nothing she does is impulsive. Tadgh O’Connell – Tadgh, a shapeshifter of sorts, is defined by his leadership role in his clan. Integrity, camaraderie, and loyalty are his core values, and he can’t/won’t sacrifice them for anyone or anything. Helen Veritas – Helen is the descendant of the Roman Goddess of Truth, Veritas. She can sense when you’re lying, and if she chooses to, she can literally carve the truth out of you. She’s vicious and unapologetic. Celeste – Celeste can manipulate earth and air. She’s desperate to save her kin from the Council and is running out of time to do so. Question 5: How do you prepare to write? I am a planner through and through. I have a scene outline, a beat sheet, character profiles, and other extraneous notes on the world and its many complexities. Usually, I’ll start each day with a goal sheet of what scenes I’d like to accomplish based on what mood I’m in, what inspiration is striking, etc. Question 6: What are you most looking forward to about this novel? Eek. Just to see what it turns into. Last year, I went into NaNo having a pretty clear vision of what book 3 was going to be, and it still surprised me. Redeemed is already a complete enigma, so I wouldn’t put it past these characters to throw me for several loops. Question 7: List 3 things about your novel’s setting. Overcasts, Ferries, and an Amalgamation of charming old storefronts and sleek new construction. It takes place in Seattle, WA. Question 8: What’s your character’s goal and who (or what) stands in the way? All Gwen wants is for her family to be okay, but in order to do that, she has to lure Helen and Celeste away from them. Question 9: How does your protagonist change by the end of the novel? Uhhhh. Honestly I have no idea. I think I’m going to just be pantsing this bit. Gwen is a fairly well adjusted character compared to the MC’s of my first three books. So we’ll see how this ends up. Question 10: What are your book’s themes? How do you want readers to feel when the story is over? The major theme in this novel is to greet others with an open heart and an open mind. None of us have the ability to know someone’s full backstory upon meeting, so stereotyping or making snap-judgments only prove to hurt ourselves and extinguish progress. And there it is, what I’ll be working on this next month. I can’t tell you how excited I am to see how this turns out, especially with it being the final adventure before the big showdown in book 5. This series has been such a fun place to live in and I’m still finding new things about the characters and the world. I just hope I can do all the characters’ stories justice. Okay, so that’s not the actual working title of my NaNo WIP this year, but it is pretty much the gist of the piece. This post is brought to you by the incredible link-up, Beautiful Books, created by Sky of Further Up, Further In and Cait of Paper Fury. For more information on the link-up, check out the original post, here. No. 1 – How did you come up with the idea for your novel, and how long have you had the idea? When I was developing the series as a whole a few years ago, I mapped out all the different elements of nature that I wanted to play with for each protagonist. I had physical elements like water, earth, air, and fire, but I also wanted to bring human nature and the encompassing universal elements like time and space in as well. I also knew that I wanted to write a character with the same brash intelligence and humor as Wesley from the Princess Bride, so Mer inherited that as well. After those two pieces were decided, the story and other characters began filling themselves in. My story-development brain basically works like an avalanche: starts off with one snowball then everything falls off the side of the mountain. No. 2 – Why are you excited to write this novel? Time-Wimey-Wibbly-Wobbly Awesomeness and Snark… What’s not to be excited about? But seriously, this story has so many twists and turns and is harboring so much set-up for the last two books in the series that I NEED IT TO BE A DRAFT ALREADY! Plus it’s the first time that one of my protagonists gets to spend any time in a world that isn’t our own. So that’s exciting for me. No. 3 – What is your novel about, and what is the title? Meredith Wilson hasn’t seen her home in four years. Instead she’s been shuffled around from boarding school to boarding school, never staying anywhere for very long, never hearing from her mother, never getting any explanation for her ability to manipulate time. And so she makes use of it by keeping herself out of trouble. And getting into some. 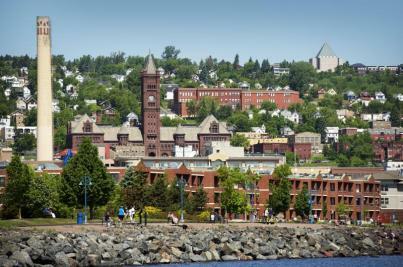 All she has to do is finish this last semester of school before she can travel where she will, but this latest destination, Duluth, MN, offers love and friendship. And answers. No. 4 – Sum up your characters in one word each. No. 5 – Which character(s) do you think will be your favorite to write? Tell us about them! Mer. Definitely. She’s smart and spunky and isn’t afraid to let people know what she thinks of them. Think Veronica Mars, but without the need to solve murders and such. No. 6 – What is your protagonist’s goal, and what stands in the way? Mer wants to be able to find “her place” in the world. Not in the “who am I?” sort of way, but an actual physical place where she can finally lay roots and make friends without the fear of being shipped off to the next boarding school the moment she’s settled in. This is her final semester before she turns eighteen and no longer has to obey her mom’s orders. Unfortunately, Mer finds out that all that moving around was for a reason: to avoid being abducted by the Council and used to tear open the veil between the magical and human worlds. Of course it wouldn’t really be a story if her mother’s plan succeeded. Oh no, the Council finds her and Mer’s life – as fragile as it was – is dumped upside down. No. 7 – Where is your novel set? No. 8 – What is the most important relationship your character has? Her relationship with Wyatt. They balance each other out and he’s the first friend that Mer can count on for the long haul. No. 9 – How does your protagonist change by the end of the novel? Good question… I mean she lets go of a lot of the anger she had toward her mom. She also finds “her place” in world, even though it doesn’t end up being a specific place, but a close-knit group of friends. No. 10 – What themes are in your book? How do you want your readers to feel when the story is over? Themes… So I’m bad at this one because I don’t really go into the first draft thinking remotely of what “themes” are supposed to be picked up on. My concern is more about the MC’s journey and what’s needed for the plot to move forward. If this series ever does get published and makes it to book 3, I’m looking forward to the responses to a specific scene in the MS where I’m sure more than one reader will chuck the book across the room. Again, *cue maniacal laughter*. 1. Just keep writing. It doesn’t matter if you get in your 1700 words for that day in description, just make the time to write those words. 2. Don’t worry about the quality. This is a pretty common piece of advice for NaNo, but don’t worry so much on the eloquence of a metaphor, just get down the meaning you’re aiming for then move on. Editing is for later. 3. Don’t be afraid to go off the rails. If you lock yourself in a little box, saying that you’re only going to write in sequential order, you have a higher likelihood to fail. So if one day, you look at your outline and feel like writing a scene a few chapters ahead of your current spot, do it! Enjoy what you do and you’ll have a better chance of avoiding burnout. What about you? Are you doing NaNoWriMo this year? Join the link up and tell us about your NaNo project!